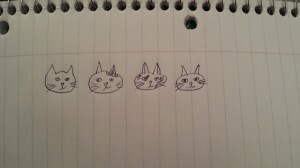 So, we start with a family of kitties. 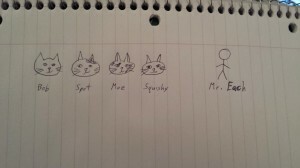 This is our array. They’re so cute, let’s name them. Oh, but who is that? 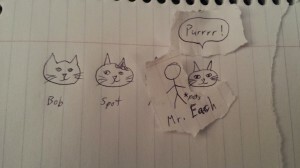 It’s Mr. Each! Our function! 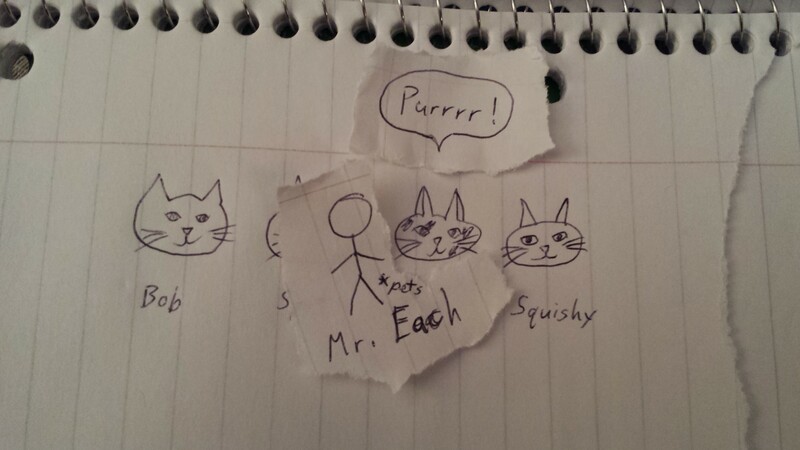 Mr. Each loves kittens and wants to play with all four of them. 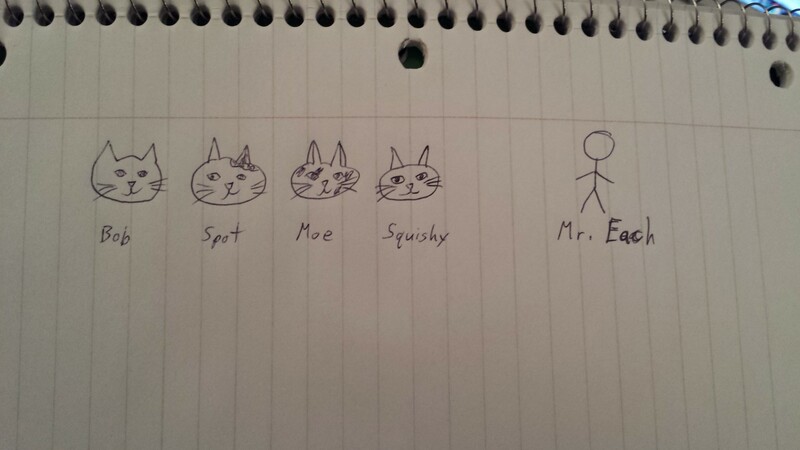 For each kitten, he wants to pets it and make it purr. 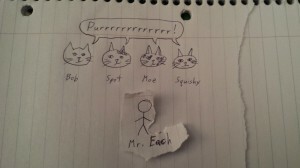 And so Mr. Each pets Bob, and Bob purrs. 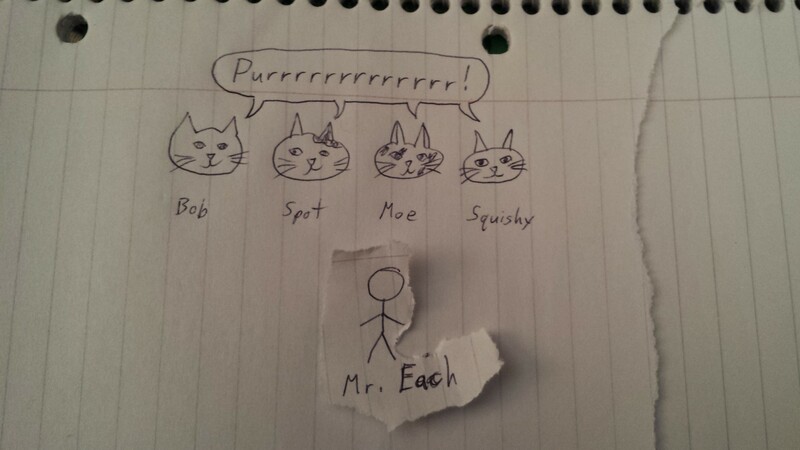 When Mr. Each is done playing with Bob, he moves on and pets Spot. 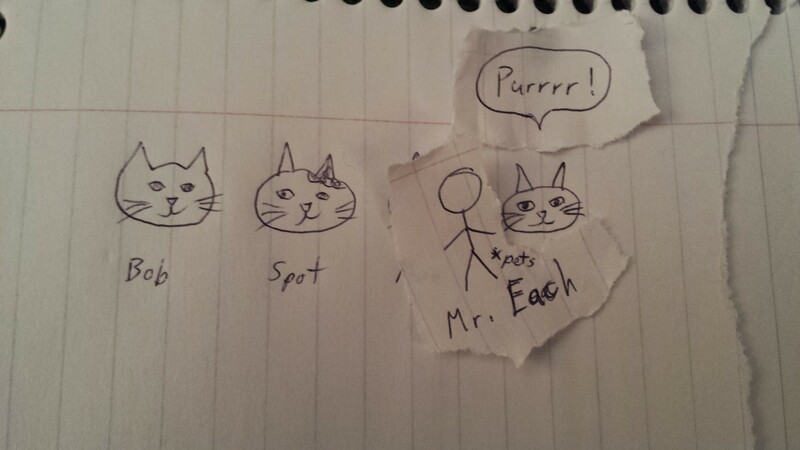 Spot also purrs. 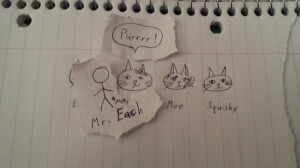 Mr. Each then pets Moe. 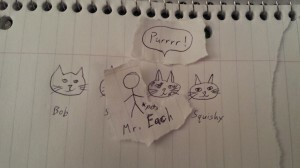 And finally Mr. Each pets Squishy, the last cat in the family (array). 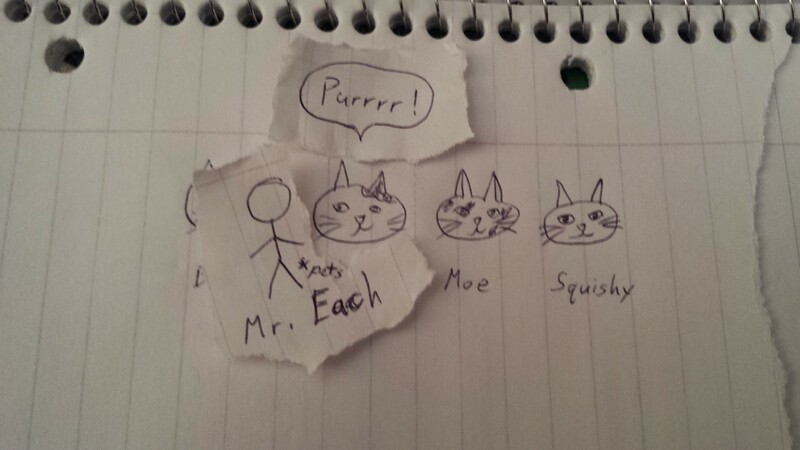 Mr. Each would have pet more cats in turn if more were there, but this time we only had four kittens. 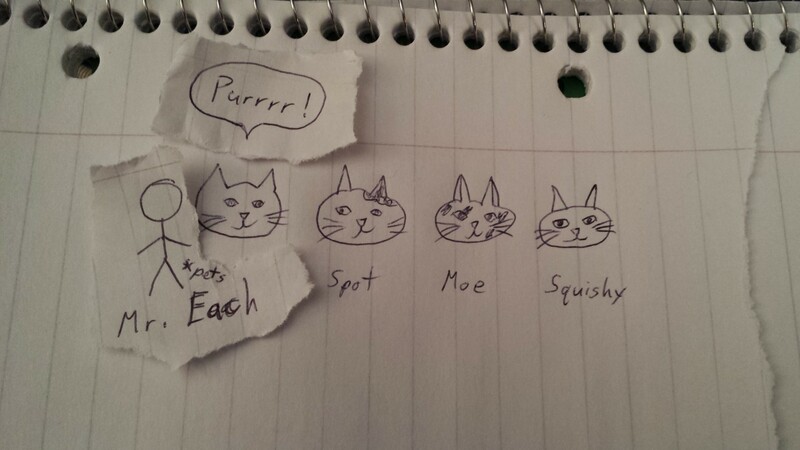 All the kittens have been played with, and all of them purred. Now that’s one happy kitty family!